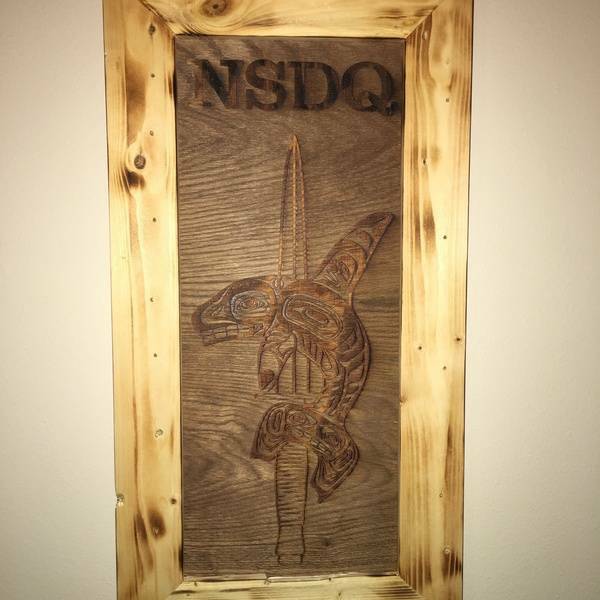 I received this Military Unit Logo inlay from a friend and I couldn't decided what to do with it so I ended up deciding to frame it. 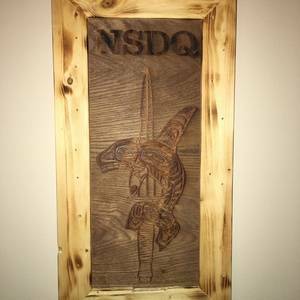 I found some scraps of wood while I was at the shooting range, this wood was used to hold up the targets and had bullet holes in them and I thought it would be perfect for this project. I cut the wood to size on the table saw, made the 45° angles on the miter saw, cut a curve in the front on a table saw, and then I cut a rabbit on the back to hold the picture. I then glued it and set it in the 90° angle clamps to dry. Afterwards I used a torch to give it some color and than applies a coat of finish. Beautiful job! The bullet holes and singed wood are perfect. This is cool, nice job.